View More In Single Herbs & Spices. 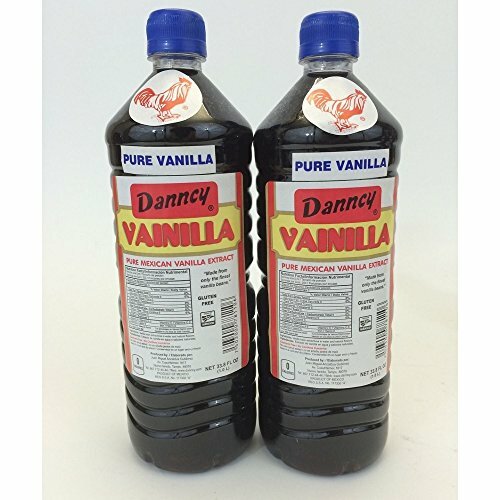 Danncy Pure Dark Mexican Vanilla Extract. 33.8 Ounce size. This listing is for 2-33.8 Ounce Bottles. Made from only the finest vanilla beans. Gluten Free. Ingredients: Vanilla bean extractives in water and natural flavors, potasium sorbate. Coumarin free. If you have any questions about this product by Danncy, contact us by completing and submitting the form below. If you are looking for a specif part number, please include it with your message. Vanilla Products USA 25 Madagascar Bourbon Planifolia Grade A Gourmet Vanilla Beans 5~6"